I'm on the fence about this book, so I'll give it a middle-of-the-road 3 stars. On a positive note, it has stoked my enthusiasm for tackling my finances. I even got a few tips that will be very helpful. However, there's a lot that rubbed me the wrong way. Ramsey uses a “hey, you're super-duper fat, flabby, and overweight” analogy for finances, and as someone who is indeed plump physically, I was extremely turned off (disgusted, even) with the amount of self-congratulatory fat-shaming throughout the entire thing. It was never-ending. I also didn't care for the HEAVY Christian slant and blatant sermonizing. The book seems mostly designed for people who are in serious debt. I don't have debt – I just don't make enough money to begin with and wanted to learn how to make what money I do have work for me. If you are literally living in poverty, a lot of his advice and timelines simply won't work. I guess I'll revisit this after I've had time (more than a month or two) to work my way through some of his babysteps, but for now, I only found the investment advice to be helpful. Everything else was pretty much, “Easy for you to say!” He had one throw-away line for people making 20k or less. All examples assume you actually have good income coming in. 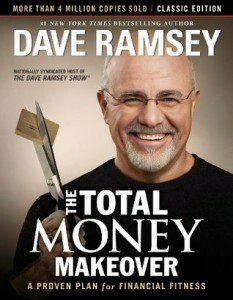 A great book for middle-class or higher Christian people who are swimming in debt and don't know what to do. Some okay advice for poor people who want to learn, but much of it was more discouraging than it was encouraging.